The US Army’s long, proud tradition dates to its founding on June 14, 1775, when the Continental Congress authorized enlistment of riflemen to serve the “United Colonies” for one year, and to be called “the American Continental Army.” The Army and the NLM became inextricably linked with the establishment in 1836 of the Library of the Office of the Surgeon General of the Army, which later became the current National Library of Medicine. This photo of an Army nurse, Lt. Mary Brown, of Ideal, South Dakota, was published by the US Signal Corps on June 14, 1943—168 years to the day after creation of the Army. 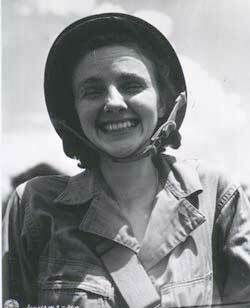 The photo of the Army nurse and other images can be found in the NLM Images from the History of Medicine database.